Earlier this week, Gault&Millau has announced its selection for 2017. 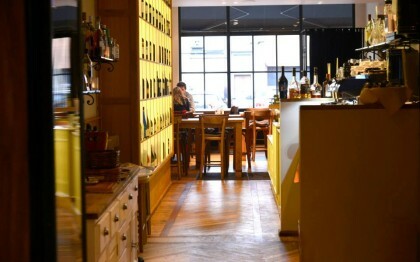 A number of Antwerp restaurants have been awarded. Bib Gourmand, the little brother of the famous Michelin Guide, has made its annual selection of restaurants in the Benelux where you can eat a high-level menu for the affordable price of 37 €. There are 169 Bib Gourmand restaurants in Belgium, of which 7 in Antwerp. There are 3 new Antwerp restaurants in the Bib Gourmand listing: Ciro’s (traditional kitchen), Bún (Vietnamese streetfood) and B23 (wine-dine-bistro). So if you’re looking for a place to have a great culinary experience in lovely Antwerp, stop looking… Just check out one of these awarded restaurants!